I think this might be one of my new favorite pages! The tiny old man is so adorable! I really worried how this was going to read when I was making it, but I couldn’t be happier. Absolutely love this. Perhaps available as a t-shirt at your booth at Fandom Fest. 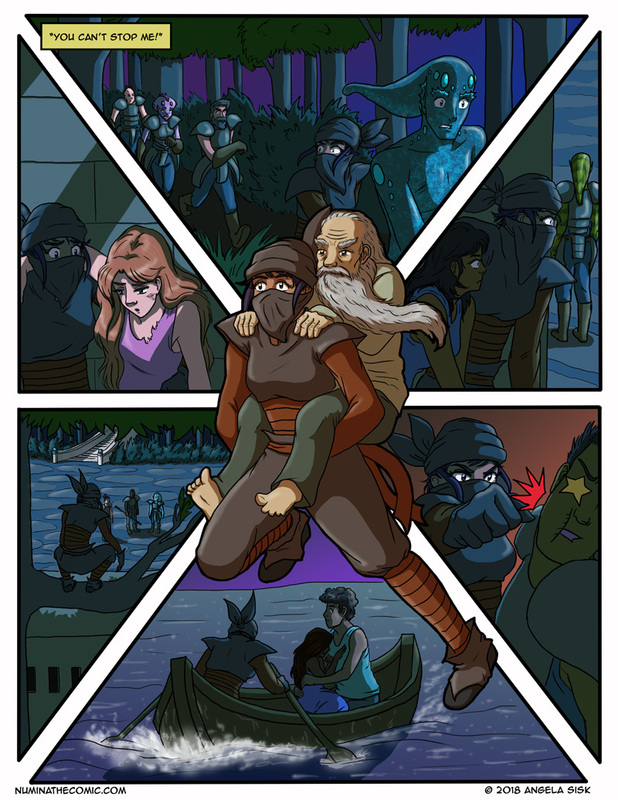 Come see the amazing artist and the Numina comic at this years Fandom Fest, June 9th, Mendel Center, Benton Harbor, Michigan. Sorry, shameless plug. Free the Heretics! Go Amelia! I absolutely love the montage of rescues. And, I would totally wear that t-shirt Holly!